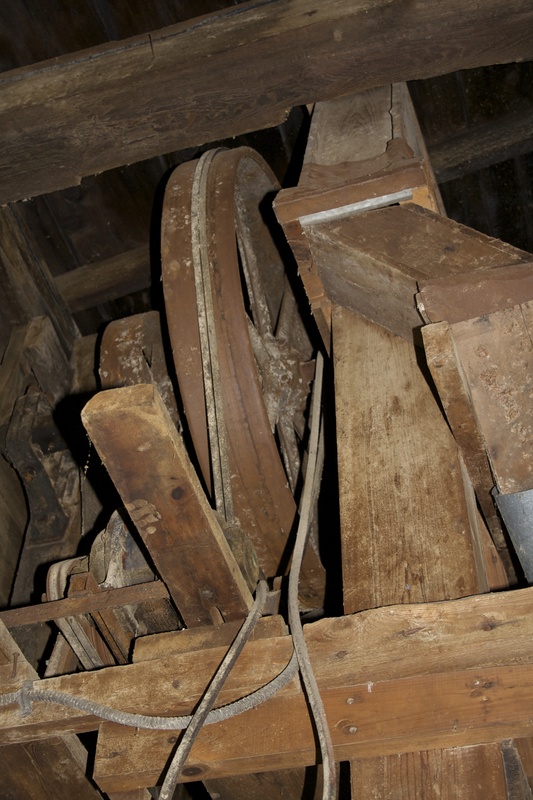 This picture is of old tools from the Mill. There is an RC cola bottle at the right to give you an idea of size. I especially like the huge wrench at the back. It was at least three feet long and weighed a lot. 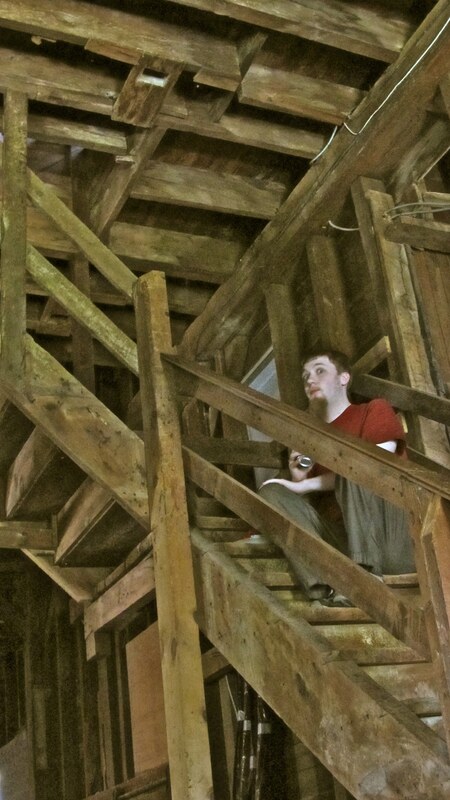 This picture is taken looking into the NW grain bin which was a few feet below the third floor level. 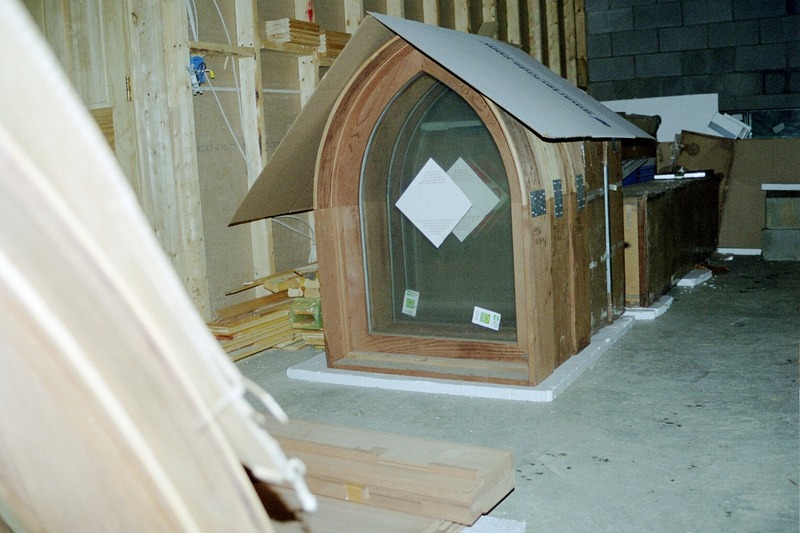 It housed our set of redwood castle windows. We had planned to build a castle before the Mill came up for sale. 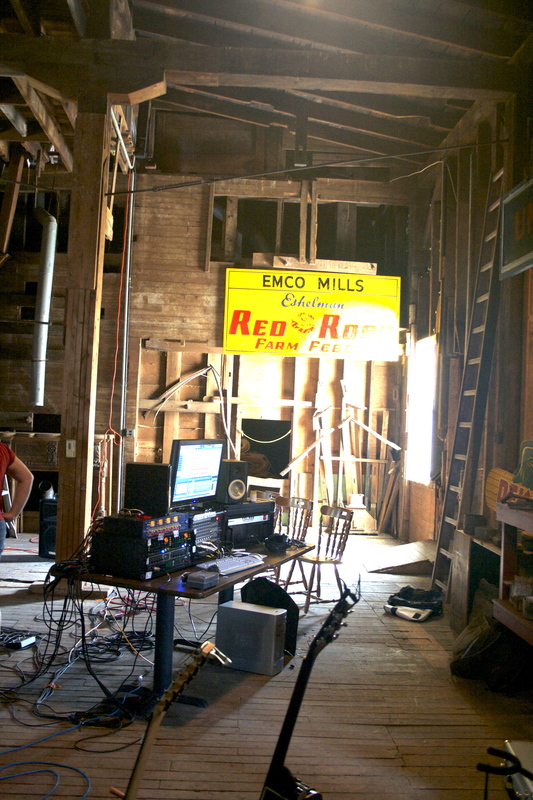 In hindsight, I think I enjoyed the Mill a lot more than a castle. To the left of the castle window bin was a room we called the Board Room. 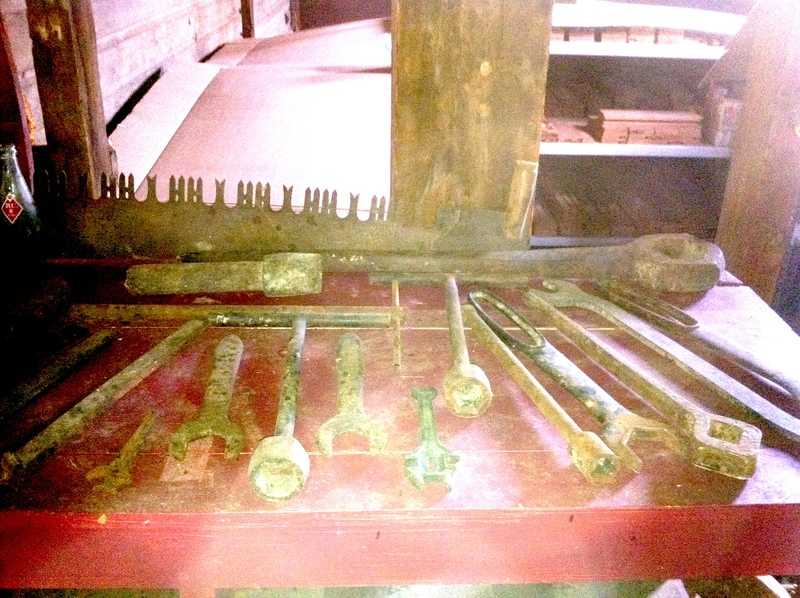 If you have visited it recently that is where the pictured tools were kept. It was called the board room because we stored a large table and chairs there . One especially interesting chair was large and red and had a black bird perched on the corner of its back. If anyone has a picture of this chair or the board room I would really appreciate a copy of it. 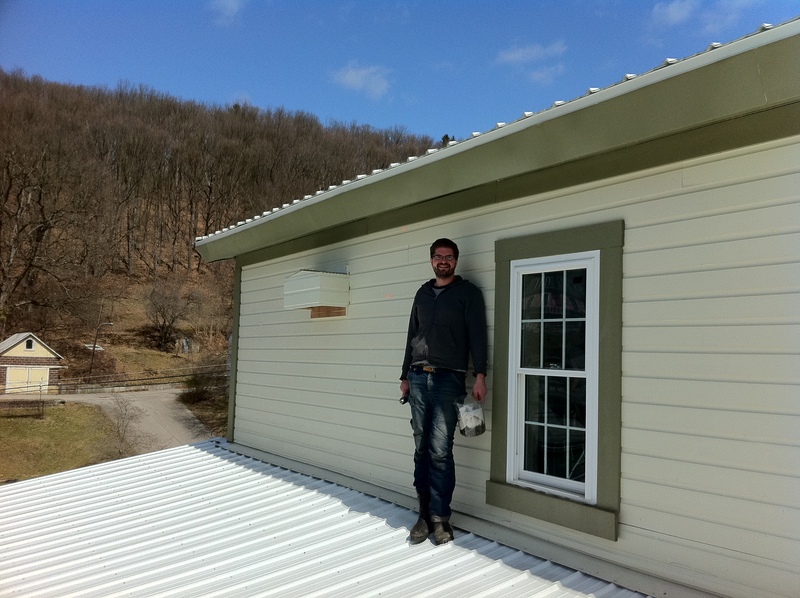 Most recently the boardroom housed a pool table moved up from the second floor with great effort by David and his friends from Pittsburgh. The third floor grain elevator is a separate system from the main grain elevators on the fourth and fifth floors. 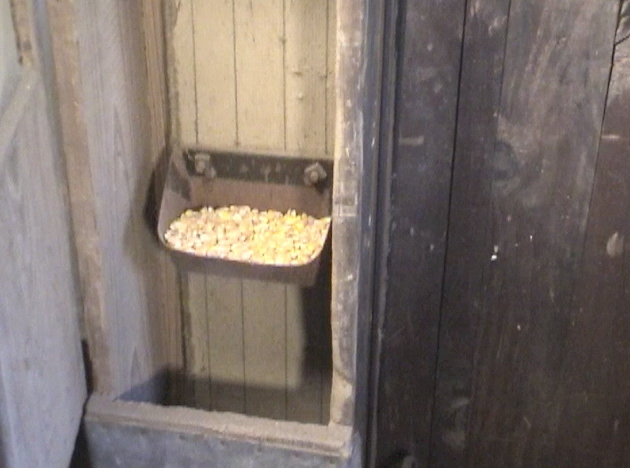 It runs between the basement and the third floor and took in grain at the second street entrance. 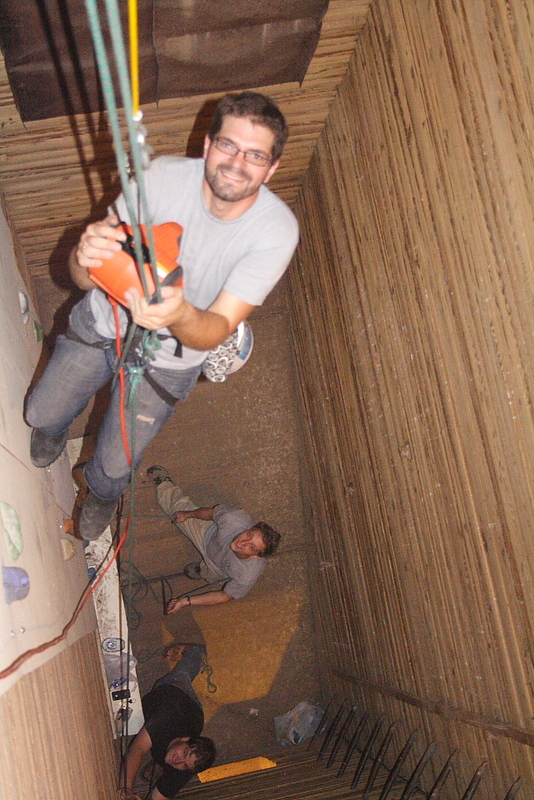 It used smaller buckets than the main elevators but we were able to repair it. The repairs required patching in about five feet of canvas belt and then we could make it run by turing the flywheel on the third floor. Powering up the motor was a bigger problem because the mill no longer has the 3 phase power the motor requires. 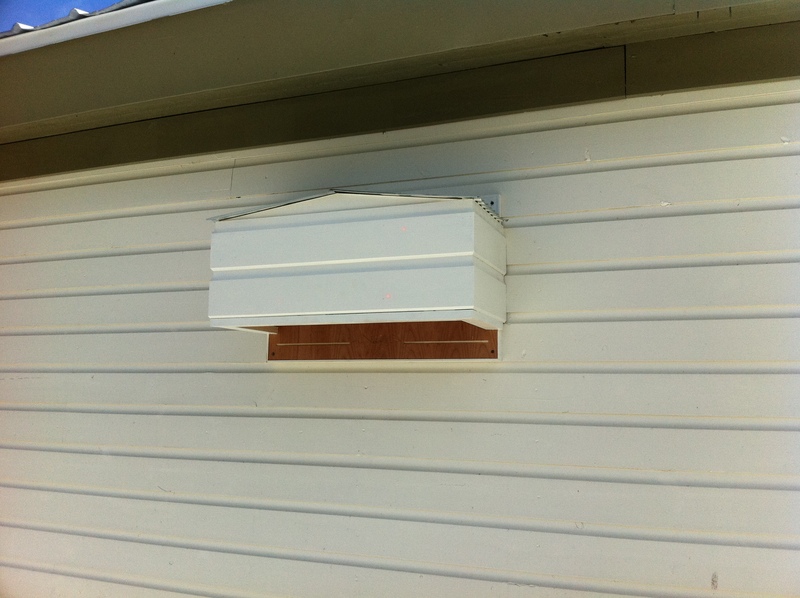 After some research we found a simple converter that took our 220v feed and faked it into three phase. See the video below. 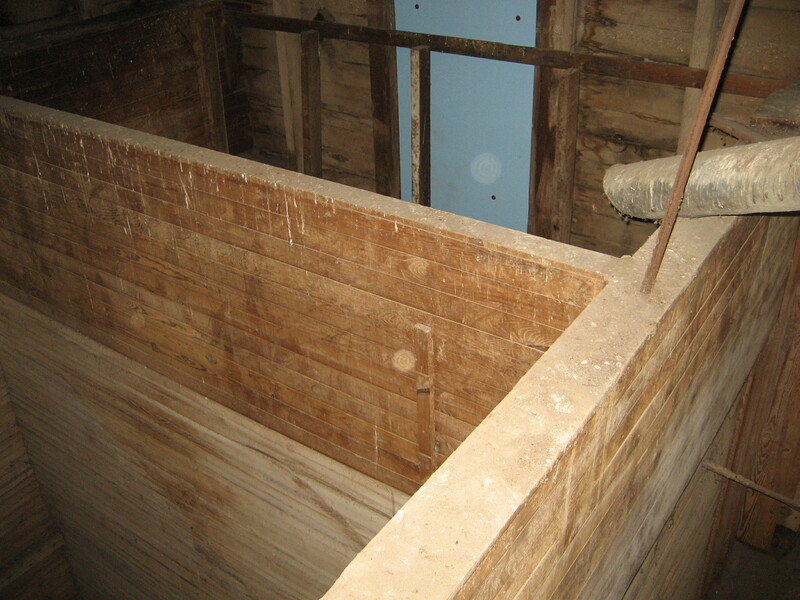 The third floor has a complete grain system of its own separate from the main system on the fourth and fifth floors. 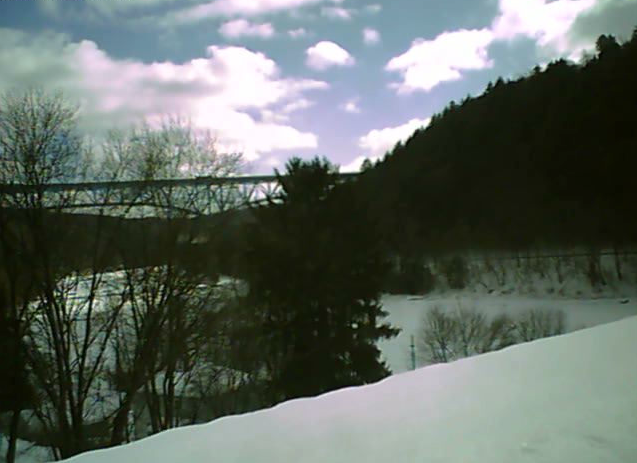 There is a grain elevator shown in the left of the vertical picture that brings grain from the 2nd street Mill entrance. 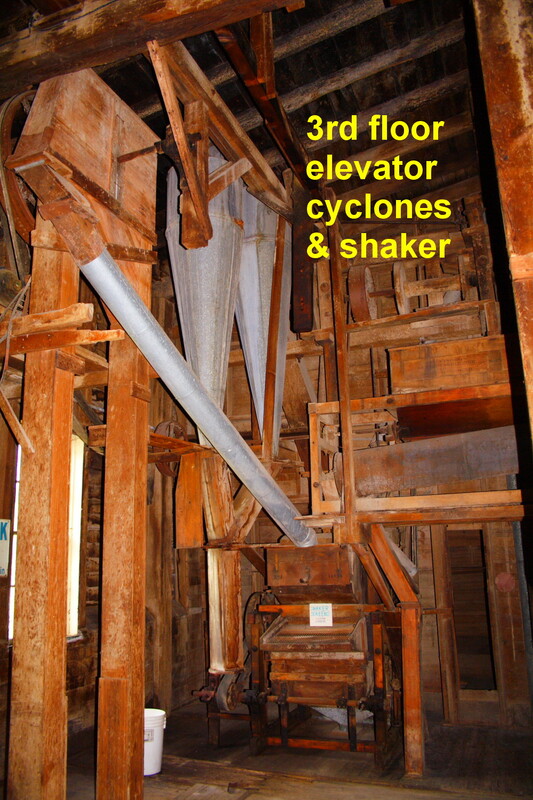 There are two cyclones and a shaker screen. 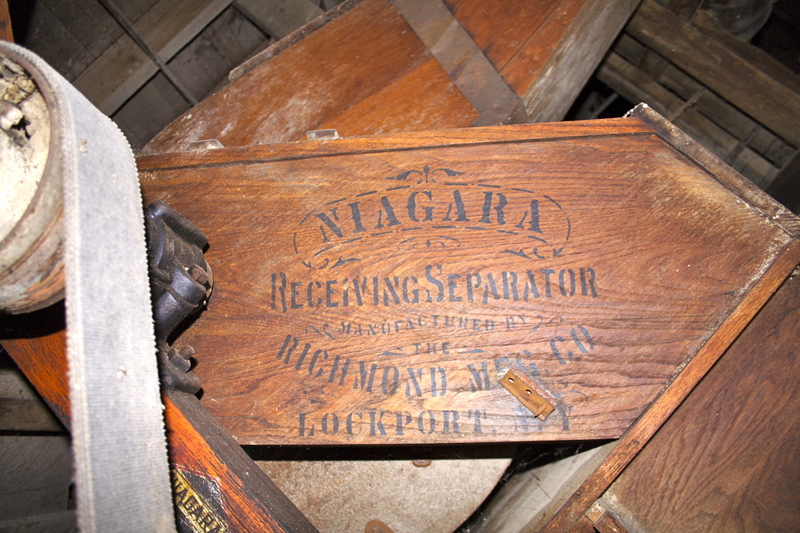 There is also the Niagara Receiving Separator shown in the horizontal picture and at the right in the vertical picture. 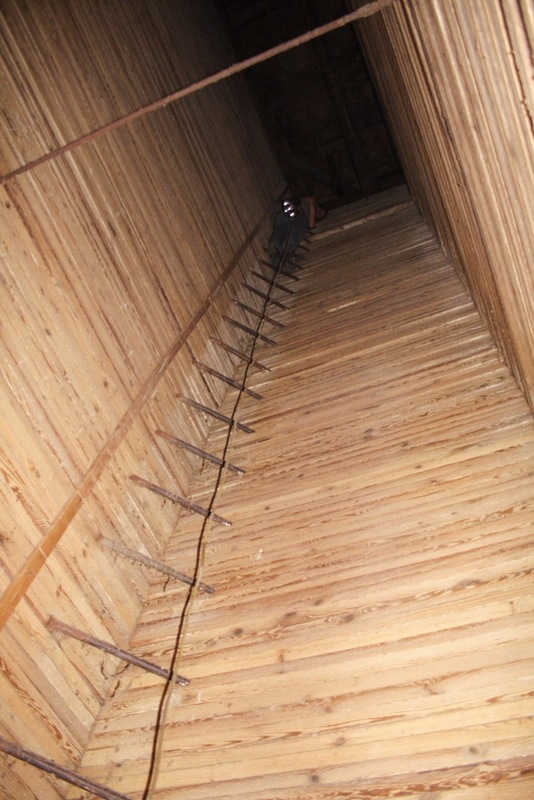 Many of the belts are still with the third floor system. 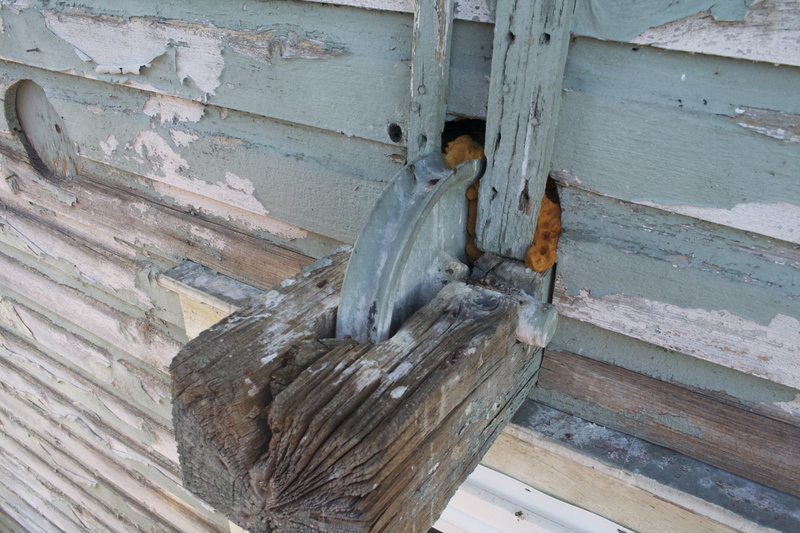 What I find wonderful is all the beautiful old wood. Since the third floor was closed to the public except for tours, we used it mostly for storage. Our homeschool library was here as well as storage for all sorts of things we had collected over the years. It’s amazing when you have space how it tends to get filled. The third floor had very high ceilings, a great place to fly quadcopters, and at least six storage areas off the main floor which I will detail in days to come. 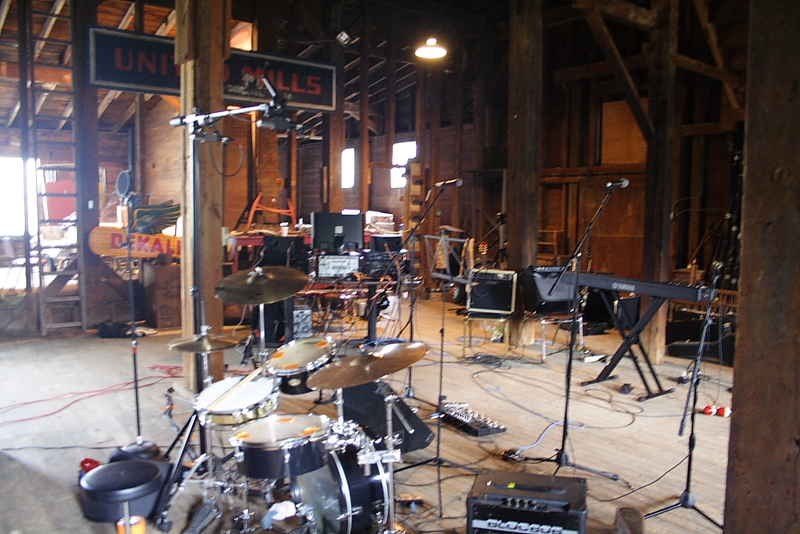 One picture shows the staircase to the fourth floor, great wood, and the other shows the main room set up as a FAWM recording studio in 2011. Later we added a stage for FAWMstock 2013. 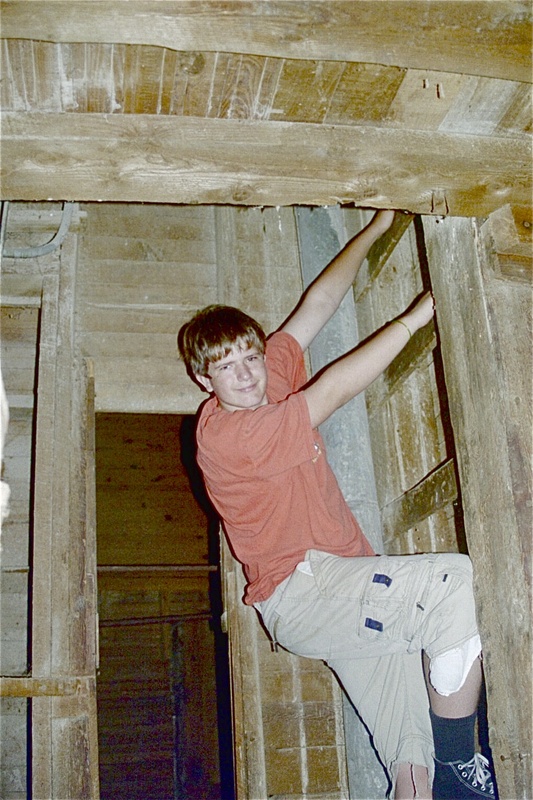 The summer we purchased the Mill, 2005, my son Michael discovered a secret of the Mill- the ladder to the third and a half floor. 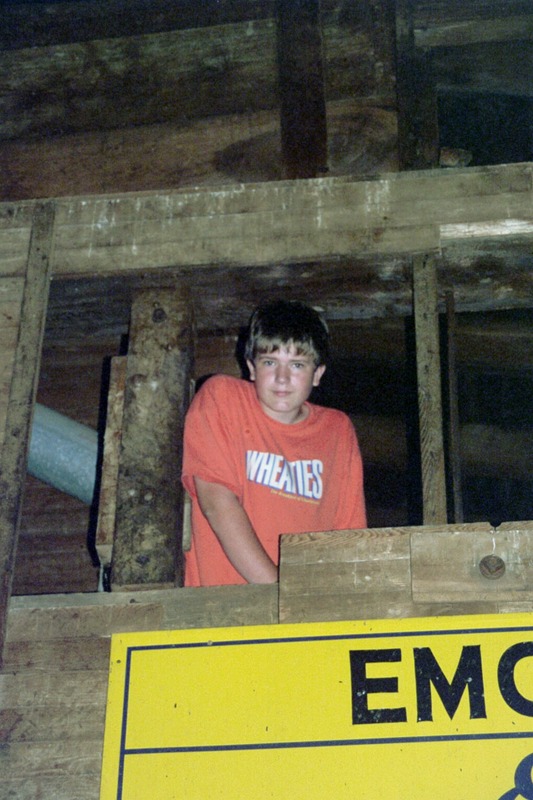 Located above the Emco Mills sign is an area that lets you look down on the grain bins. Some of these are the third floor grain bins but it also gives access to the two grain bins that extend all the way to the basement 36 feet below. 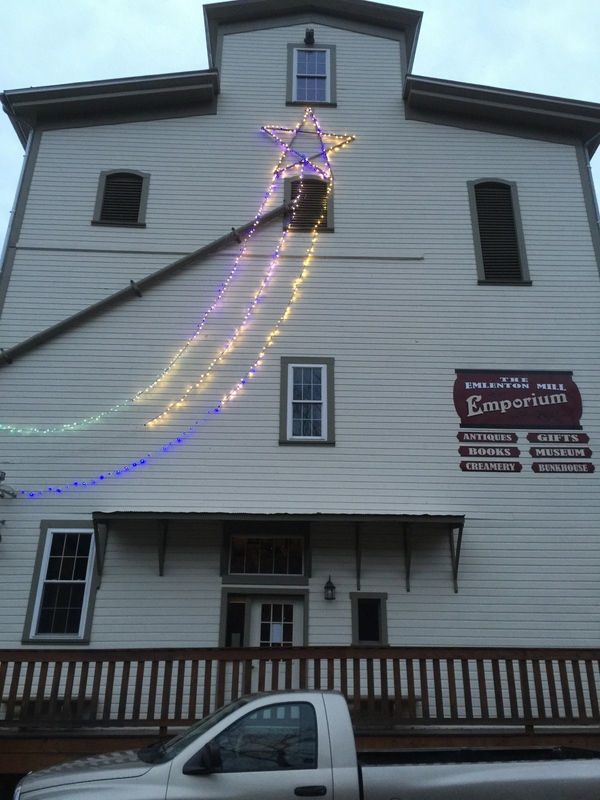 The Emlenton Mill shooting star is hung from just below the fourth floor window facing the river. 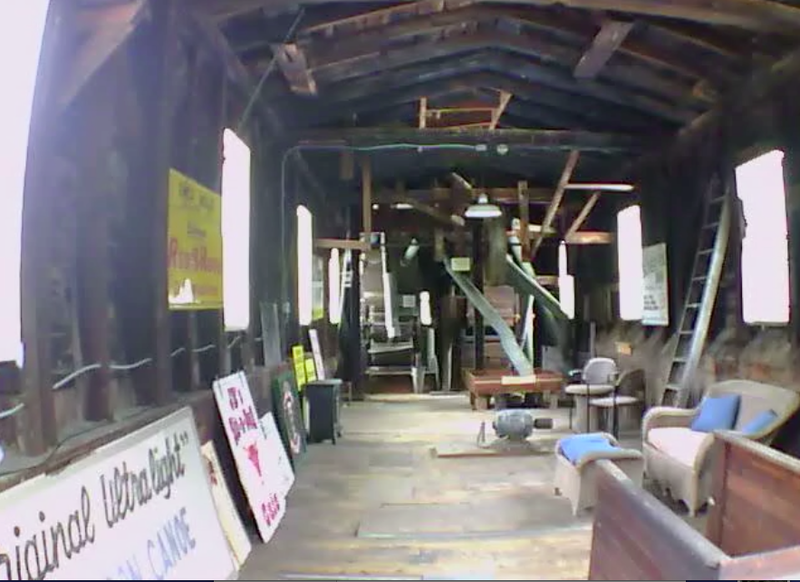 Above that window is a very old pulley that was used for raising things to the upper levels of the Mill. The star is made from eight foot aluminum channels that were part of a roller rack donated by Whitaker Corporation. 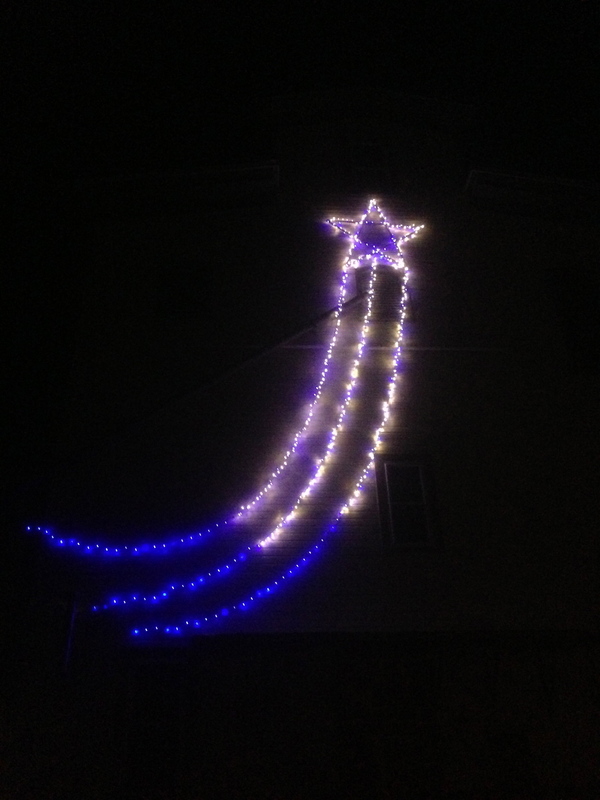 It is covered with white and blue LED christmas lights. At night it appears to hang in space. 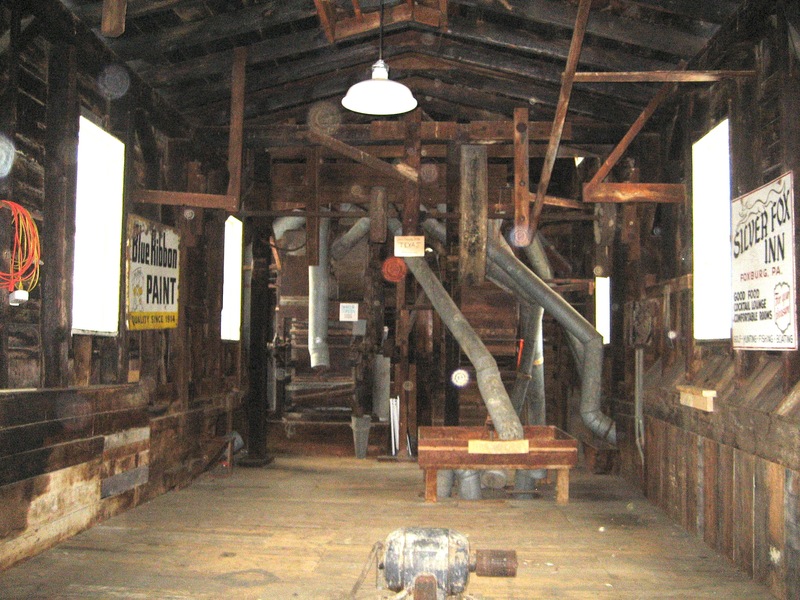 The fourth floor of the Mill housed the flywheel for the main grain elevators. 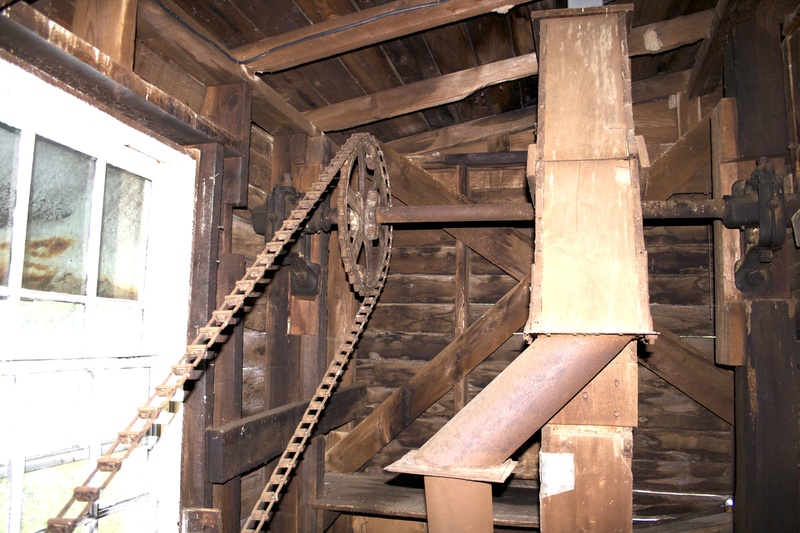 The chain drive is shown below. 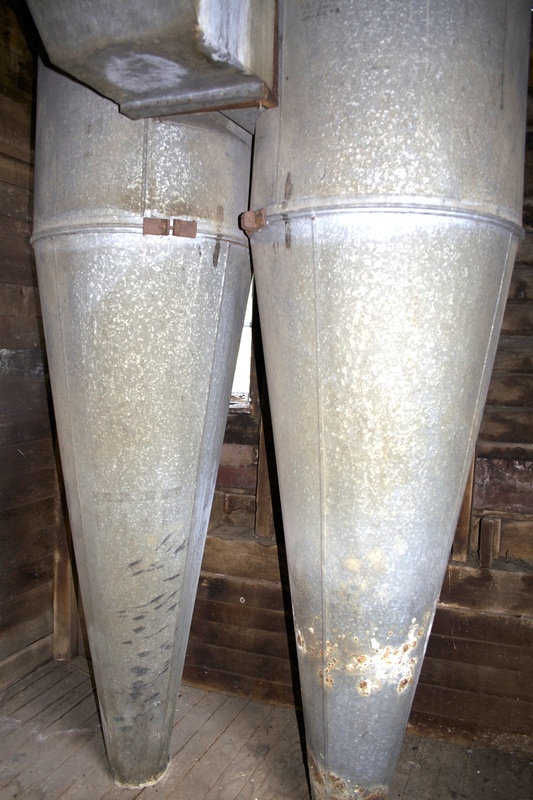 It also housed four cyclones, in a room overlooking the river, which were used to separate the grain and two shaker screen units which were also used to separate the grain. 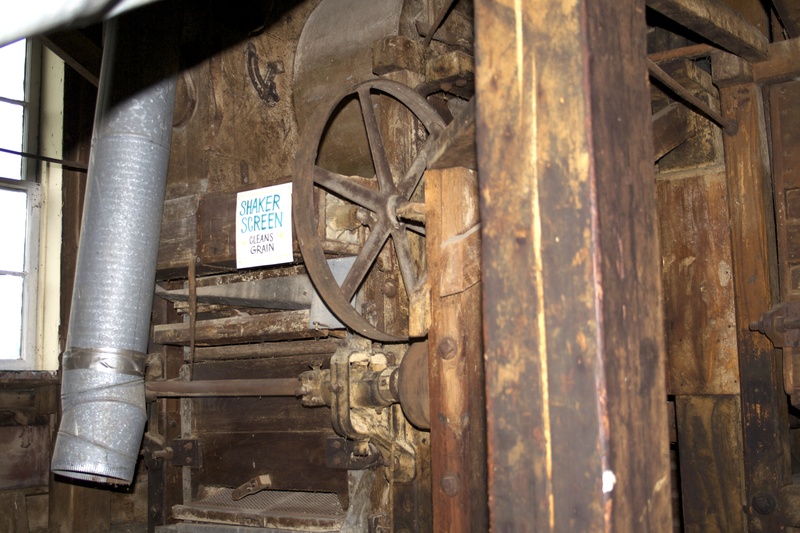 You could still turn the flywheel and watch the chain turn the elevator although the elevator was no longer continuous.